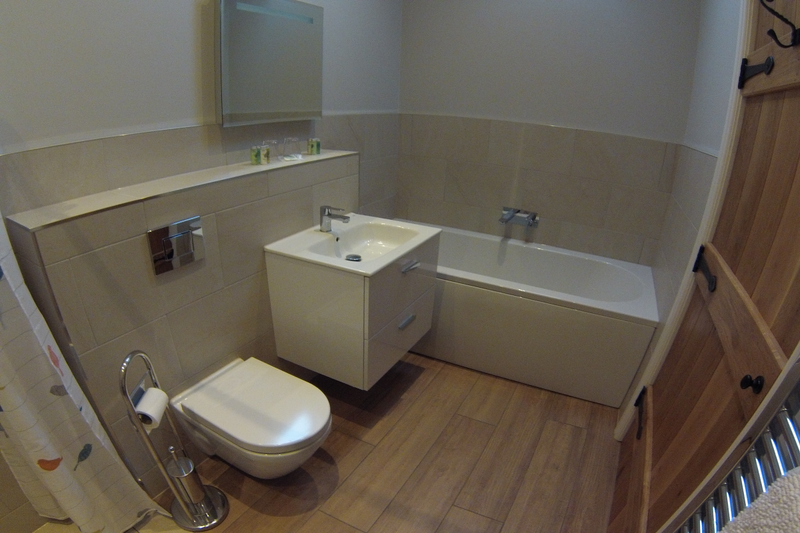 Two double bedrooms with ensuites, with access for wheelchairs. 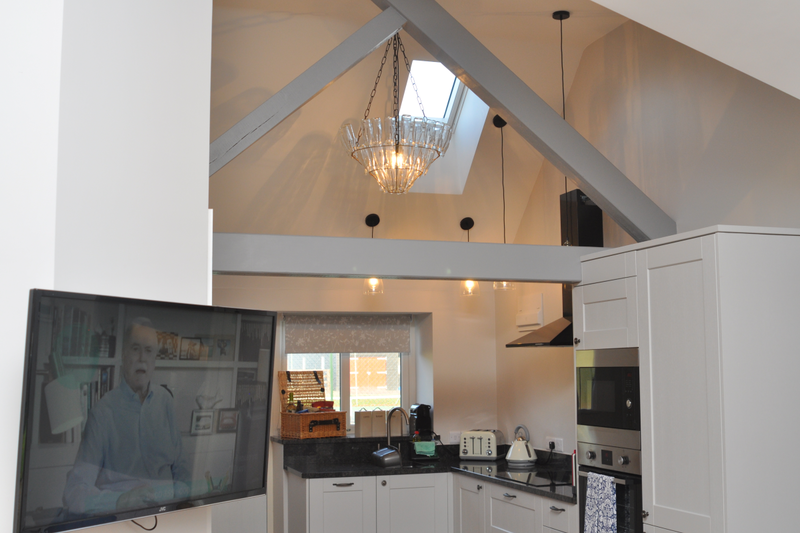 Vaulted open plan living/dining/kitchen with a wood burner. 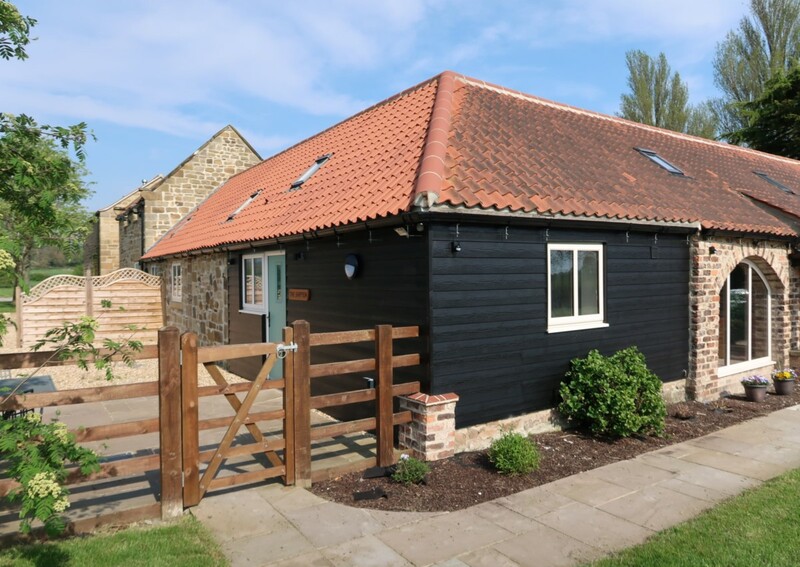 This is a newly converted single storey barn sleeping up to four persons in two double bedrooms. 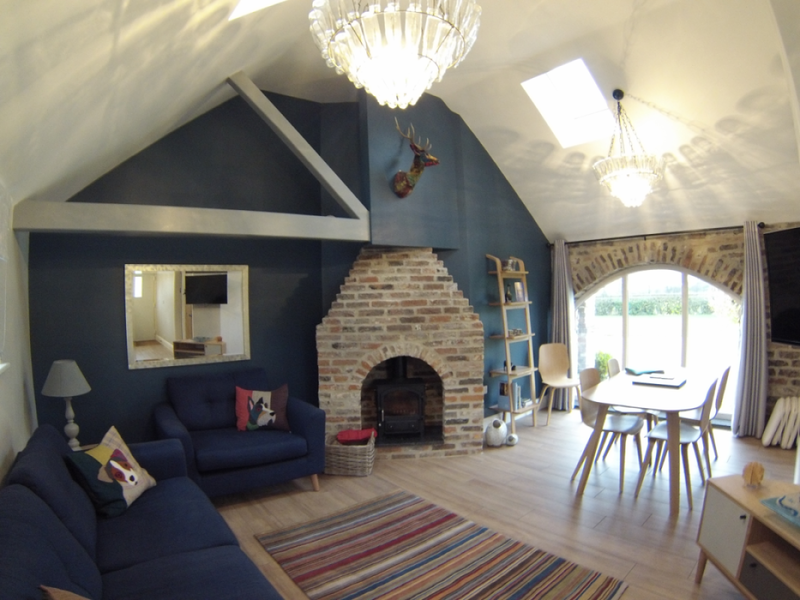 The barn has vaulted ceilings throughout and a large open plan living/dining/kitchen. 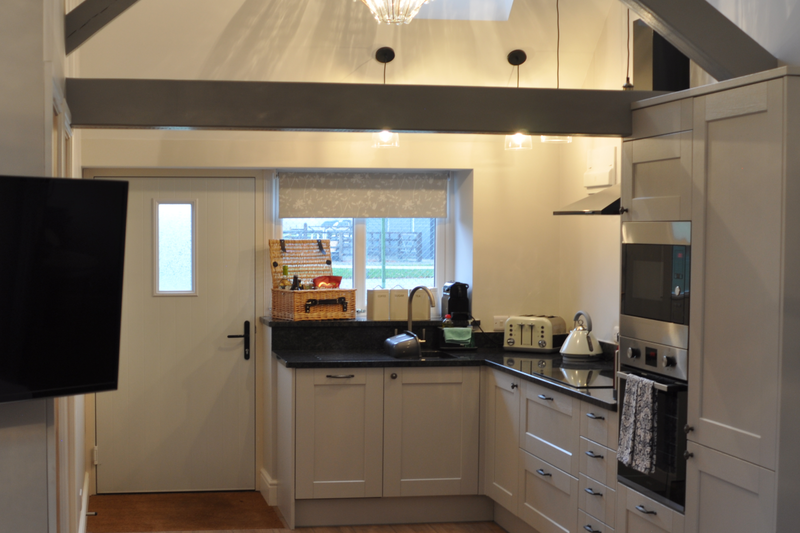 The kitchen area is fully fitted with granite worktops and integrated dishwasher, fridge/freezer, induction hob and oven with separate microwave. 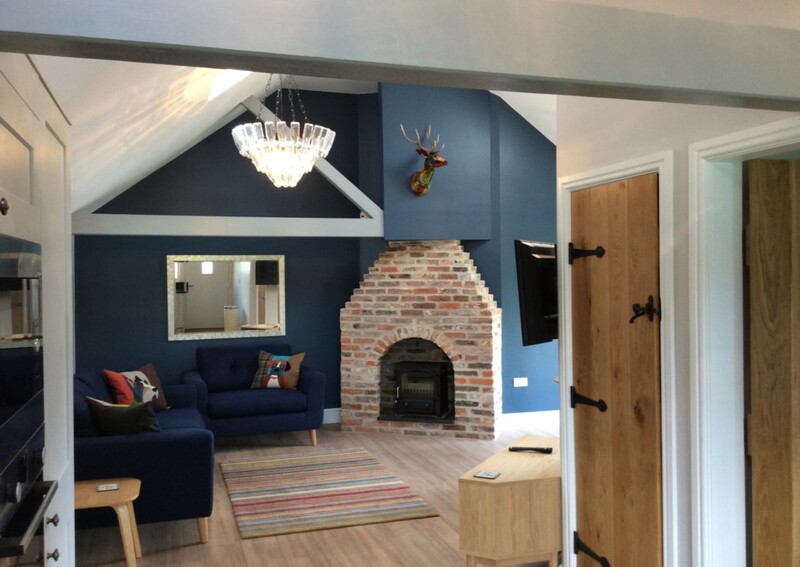 The dining area seats up to six persons and the living area has a feature fireplace with wood burning stove, a TV with Freeview and comfortable seating for four/five persons. 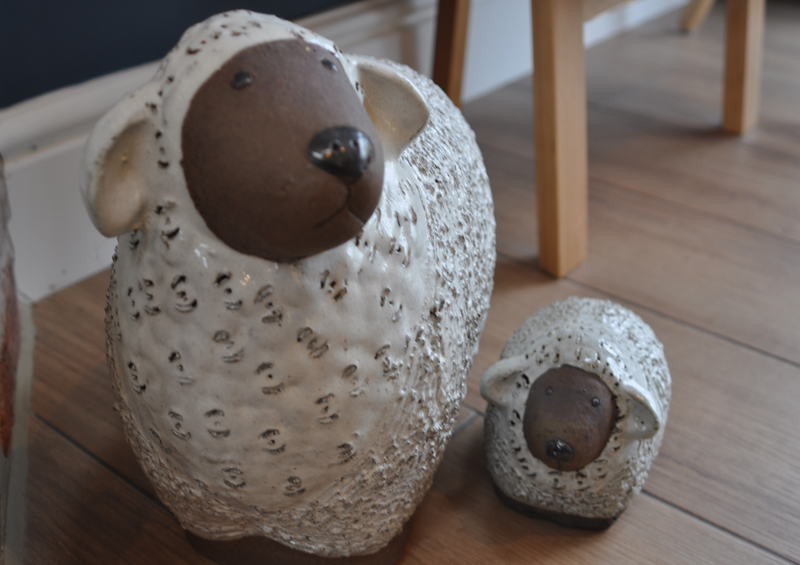 The bedrooms are both en-suite. Bedroom 1 has a super-king zip and link bed which can be split into two 3 foot singles if required. 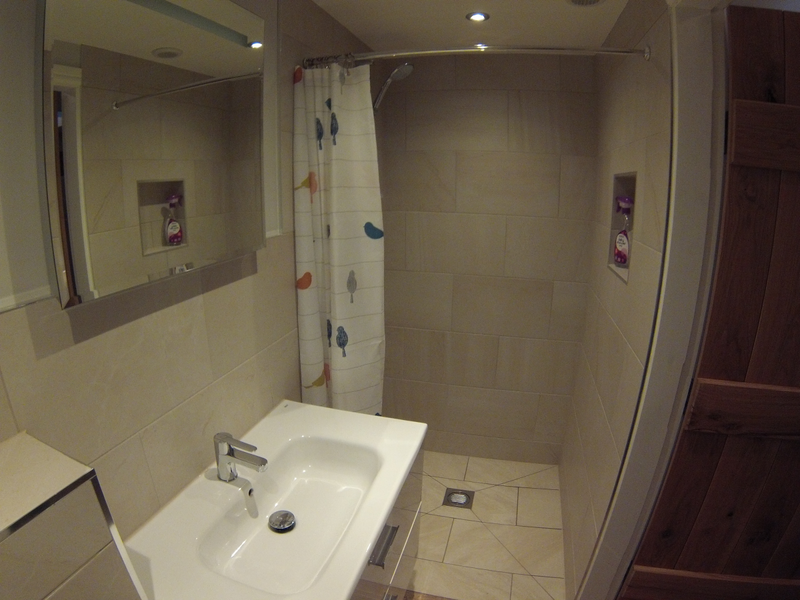 It has a spacious en-suite bathroom with bath, wash basin and toilet and a large walk in shower. There is ample room for a cot or cot bed, both of which can be provided on request. 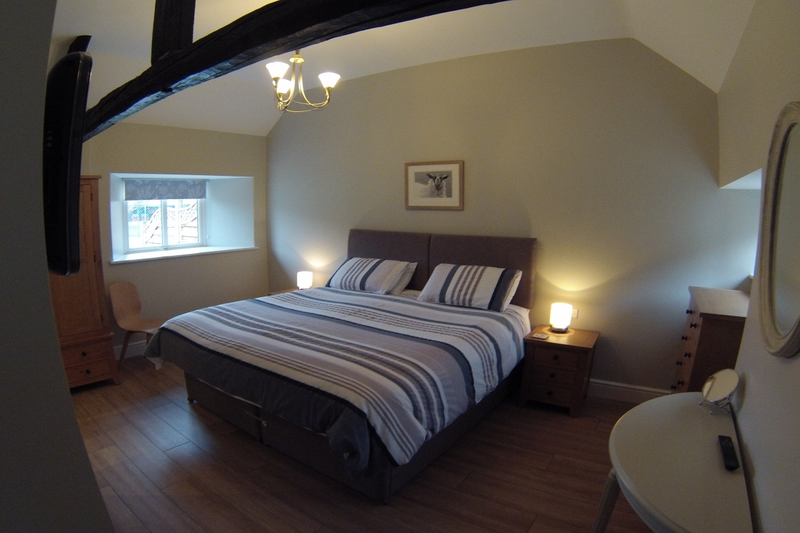 Bedroom 2 has a king size bed and an en-suite shower room with walk in shower, toilet and washbasin. 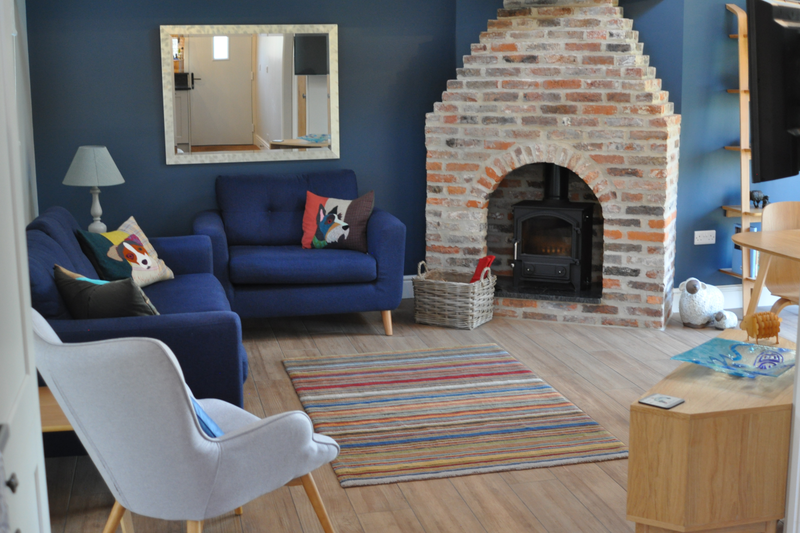 The barn is furnished and fitted to a high standard and has underfloor heating throughout as well as a good, free Wi Fi connection. We particularly welcome wheelchair users to the Shippen. There is easy level access along a paved path from the parking area. The wide front door has a level threshold to allow easy access for wheelchairs. 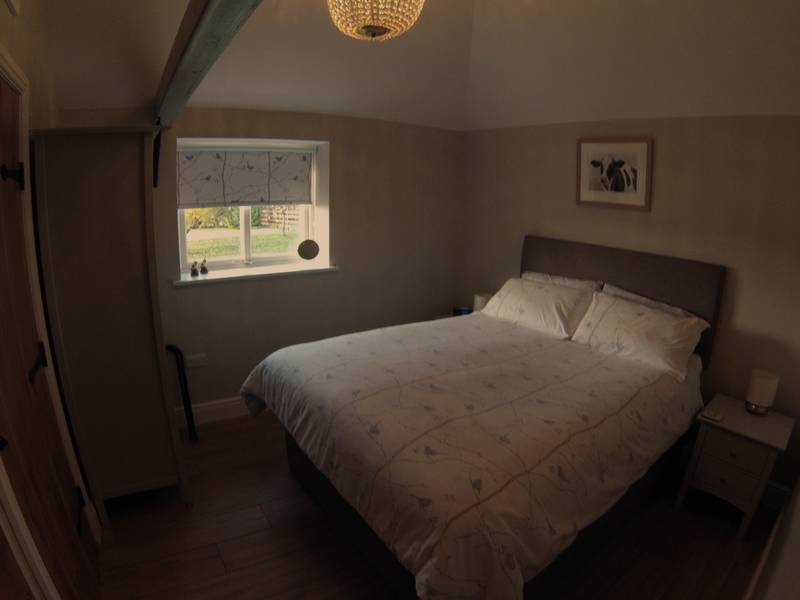 There is ample room to manoeuvre a wheelchair in the living areas and Bedroom 1 has a wide door way, room to move a wheelchair around the bed and the en-suite bathroom also has a wide doorway and again can easily accommodate a wheelchair. The walk in shower is 1.7 metres wide and a shower chair, raised toilet seat and frame around the toilet can be provided on request. Outside there is a spacious patio are overlooking the gardens and tennis court with the stables and ménage beyond. There is a BBQ, table and seating for up to 8. 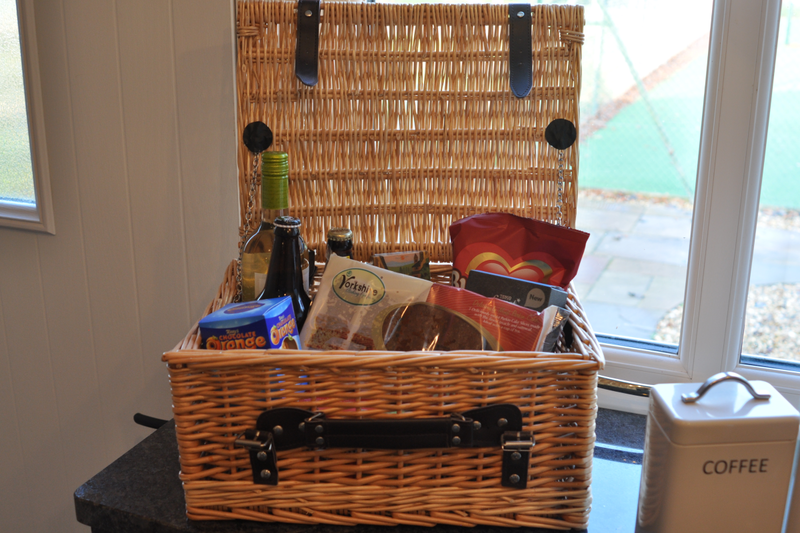 There is a separate guest laundry on site with washing machine and tumble drier available for guests’ use.